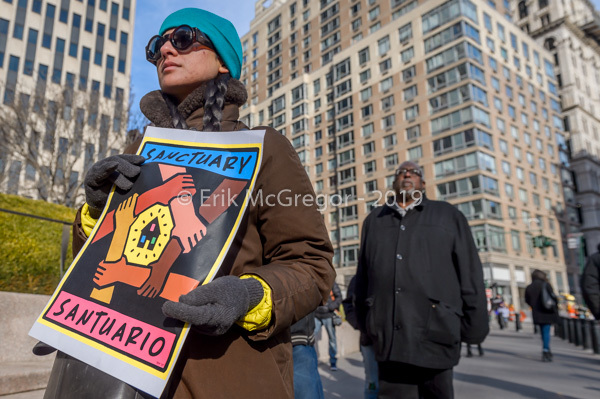 New York, NY – The New Sanctuary Coalition called for a mobilization of community members and allies to gather for a Jericho Walk around the Federal Building at 26 Federal Plaza on January 28, 2019 in solidarity with Ravi Ragbir, Executive Director of New Sanctuary Coalition, as he was forced to check in with Immigration and Customs Enforcement (ICE). 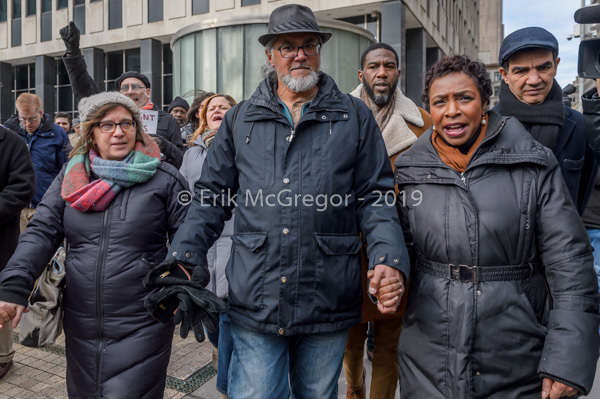 Community members also participated in a Jericho Walk outside of ICE headquarters at 26 Federal Plaza, to demonstrate that the community will keep fighting on, in solidarity with Ravi and the countless people like him who face deportation under longstanding and cruel policies. 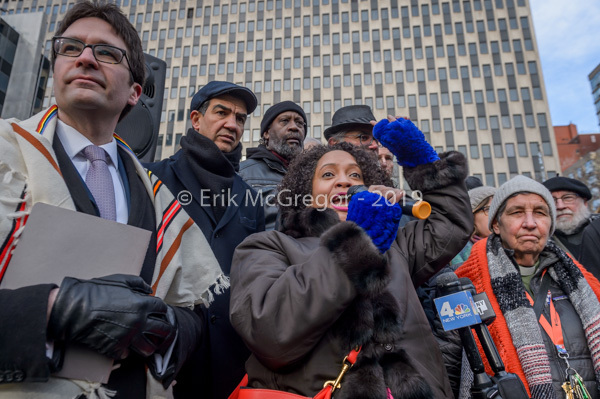 Numerous community members, faith leaders, elected officials, and directly impacted individuals accompanied Mr. Ragbir to his scheduled report date, standing in solidarity with Mr. Ragbir and with the countless immigrants facing deportation who have continued to report to ICE officers even while the Government’s record-long partial shutdown grounded several government services to a halt and threatens to do so again. 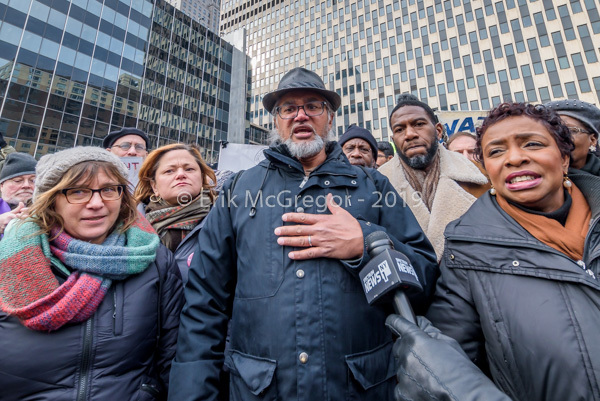 Ravi Ragbir has to check in with Immigration and Customs Enforcement (ICE) again in six months. 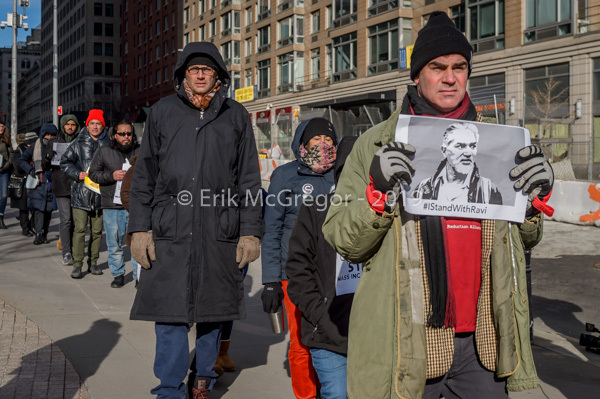 Ravi Ragbir is one of many activists who have been targeted with prison and forced removal because of their politics and because they are advocates for the right to migrate. On Jan 18th, a court in Arizona decided that it is not only OK to let someone die, but that they will punish anyone trying to save lives. 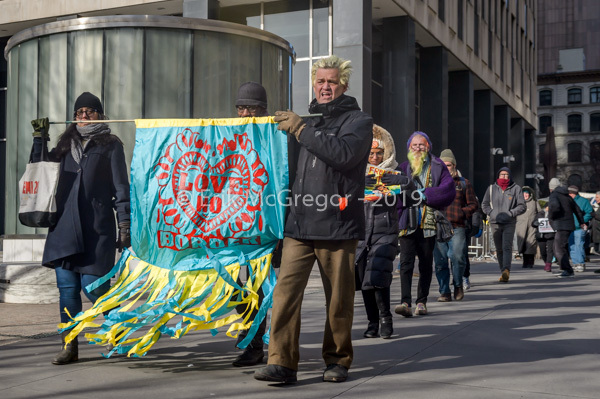 Activists with No More Deaths were convicted of violating federal littering and access permit laws because they left water and food in the Southern Arizona desert for other human beings who could have died without it. 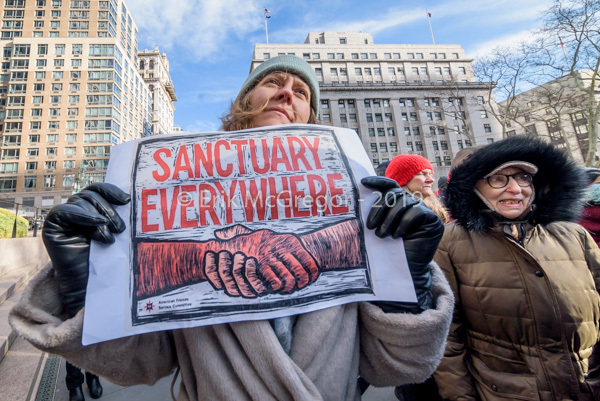 Their effort to protect human life was criminalized, and their defense of the right and freedom to migrate will be punished with prison. 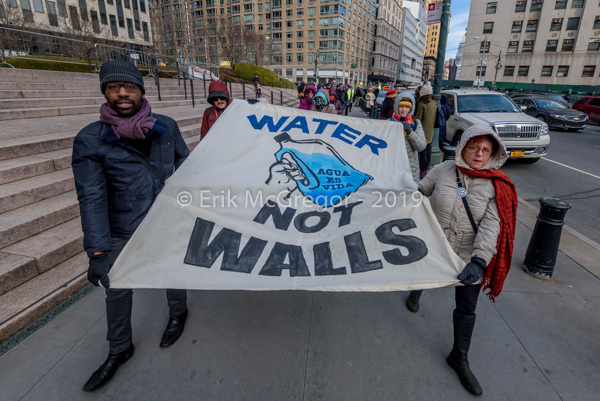 The targeting of activists is simply one of many violent, anti-democratic tactics this administration has used to intimidate and oppress migrant communities and punish their allies. The goal of this fascism is to deter our migrant Friends from exercising their freedom to improve their lives through migration, but we will not be deterred or intimidated. 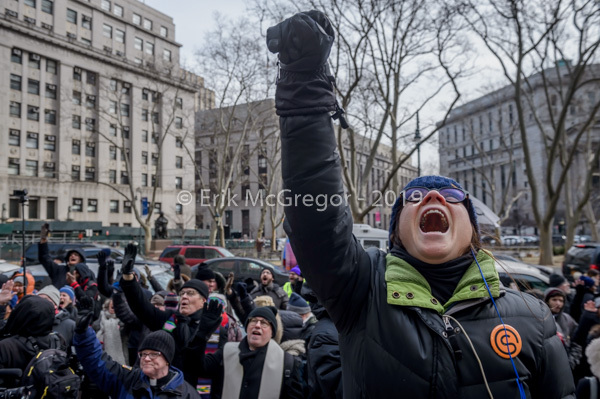 No amount of ICE violence or contempt for liberty will dampen our courage to keep fighting, continue to stand in solidarity with others, and confront the brutality of laws that do not recognize their humanity. 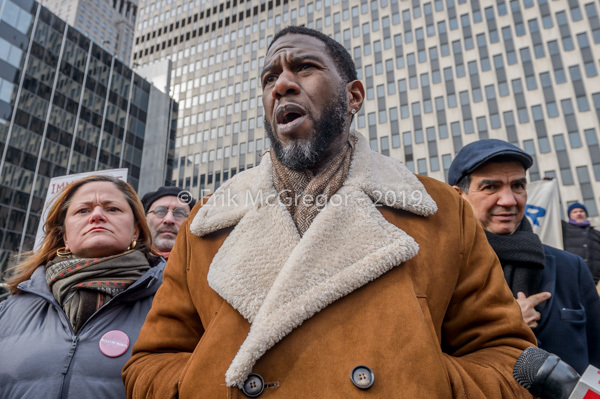 The federal government’s continued assault on immigrants is exemplified by its decision not to cancel its scheduled report date for deportation for Mr. Ragbir, a prominent New York immigrant rights leader whom ICE attempted to deport one year ago before federal courts intervened. 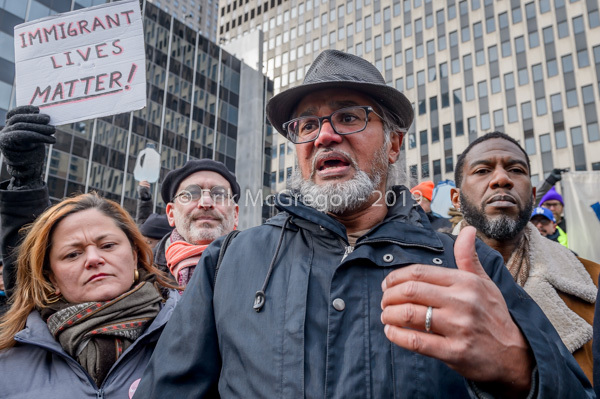 Mr. Ragbir cannot legally be deported because he has stays of removal both from a federal district court in New Jersey and from the U.S. Court of Appeals for the Second Circuit. 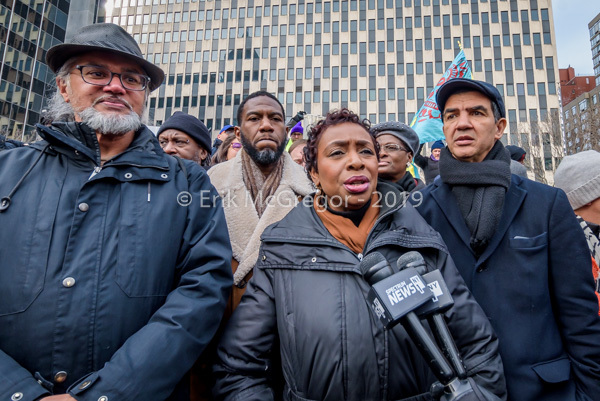 Instead of cancelling Mr. Ragbir’s report date, as ICE has done in the past, ICE is requiring Mr. Ragbir to check in. This check-in will come just two weeks after the one-year anniversary of his unlawful and targeted detention.